Everybody just take a deep breath, okay? Email and social don’t have to fight. In fact, they can support each other beautifully. And the more you see all the ways they work together, the more it looks like they’re the perfect complement. 1. 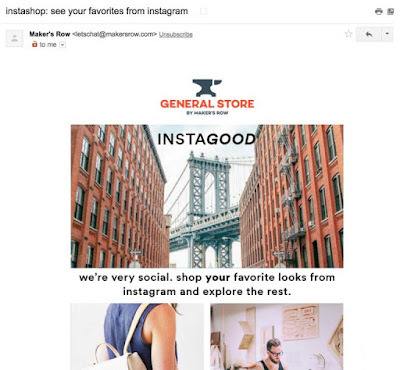 Include your most popular social media posts in your email messages. 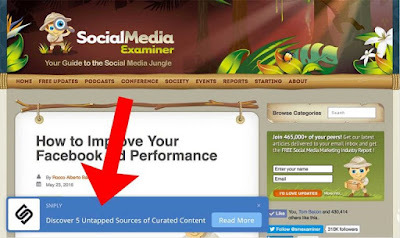 Want more content for your newsletters? Social is the perfect solution to this. Not only do you have a great stream of content to pick from, but you’ve also got sharing stats. You know which posts and images have performed best. So use just the best-performing content in your emails. 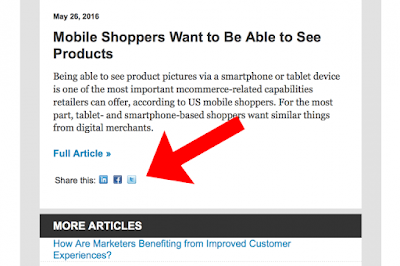 It just might kick your click-through rates up, too. 2. Include prompts to follow you on social media in your emails. These are different than sharing icons. Here I’m talking about the links (or linked images) that go to your profile pages on social media. If someone is willing to sign up for your emails, they’ll probably be interested in following you on social media, too. 3. Include social sharing buttons in your emails. 4. 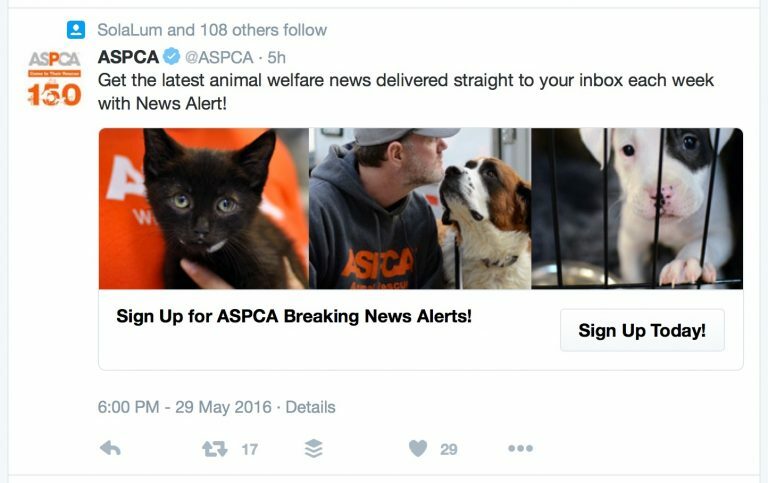 Ask people to follow you on social media when they sign up for your list, and when they unsubscribe. 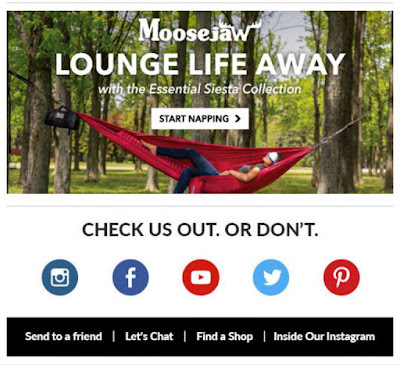 Know that final page your new subscribers see after they’ve confirmed their email addresses? That’s a great place to ask them to follow you on social media. People tend to be really enthusiastic when they first sign up – they’re into you, and so if you offer them other ways to stay in touch, they’ll probably say yes. Conversely, when people unsubscribe, it’s good to ask them to follow you on social. Why? Because most people unsubscribe simply because they’re getting too many emails. If you offer them another way to stay in touch – without clogging up their inbox – they might say yes. 5. 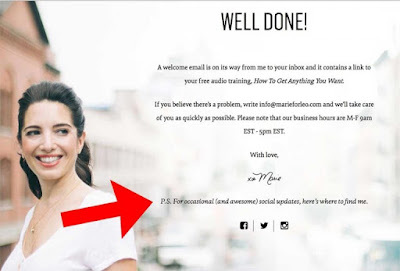 Announce your about-to-be-published email newsletter in your social media posts. This is a great way to build your list, plus it gives you more content for your social media feeds. If you’re willing to kick things up a notch, add a short article or other content to your emails that’s not available anywhere else. Mention that exclusive content when you announce your newsletter on social. This gives people more of an incentive to sign up. 6. Add an email sign up button to your Facebook page. This is about a ten-minute set-up, but it can net you a whole new stream of email subscribers. 7. 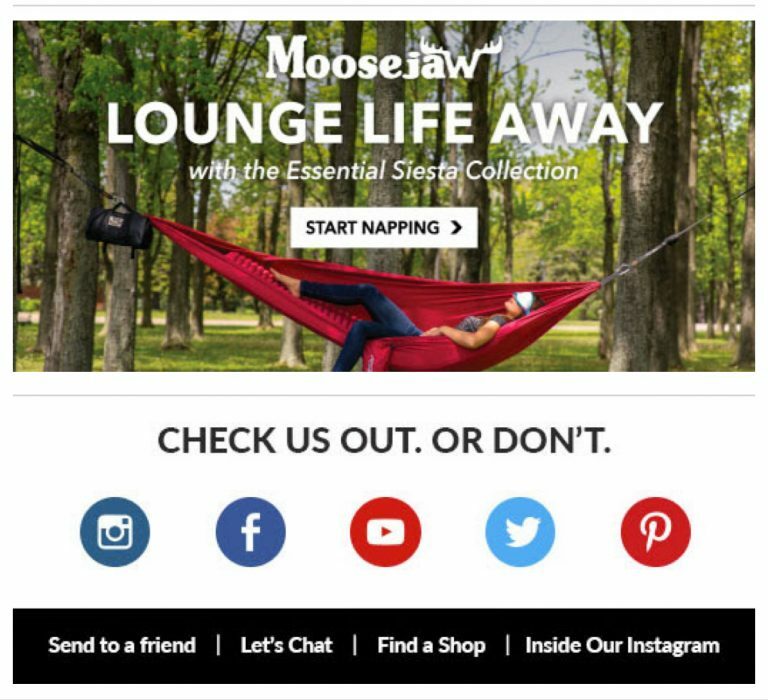 Build your email list with Facebook’s “Lead Ads”. Lead ads are an awesome way to get more subscribers. There is one hassle, though – you’ll have to manually extract the email addresses from Facebook… unless you’ve got LeadsTunnel. Then the whole process is automated for you. 8. Use Facebook’s custom and lookalike audiences to attract more people like your current audience. You’ll need about 1,000 email subscribers for this to really work well, but once you’ve got them, there’s a way to upload your email list to Facebook. Then you can advertise to those same people on Facebook, or you can use those names to create a “lookalike audience” of folks who are like your subscribers. 9. 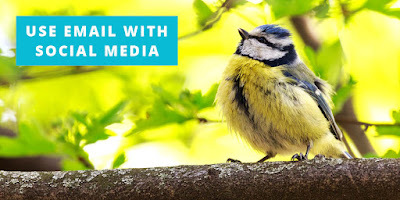 Use Twitter’s lead generation cards. If you’ve got the budget, this can be a great way to build your email list. Especially if you’re more into Twitter than you are into Facebook. 10. Run a Facebook contest to build your email list. This works best if you’ve got a large following on Facebook, and you’d like to convert them into subscribers. If that sounds like you, see our recent article about how to run a Facebook contest. 11. 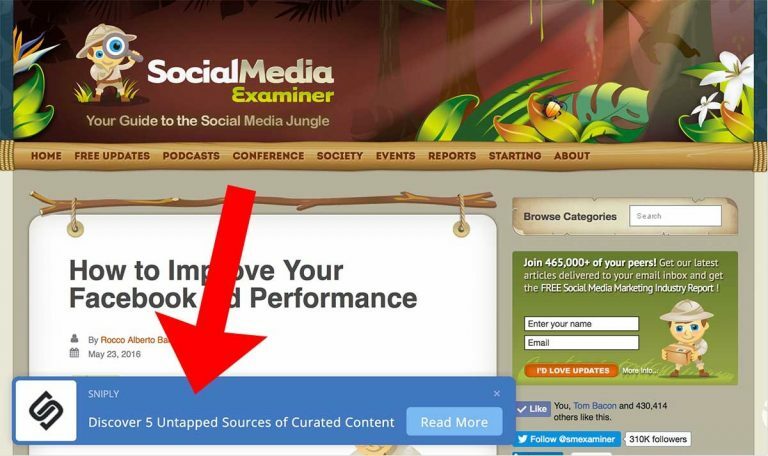 Use one of the social media overlay tools to add a prompt to join your list to everything you share online. You share other people’s content on social media, right? It’s good for your authority, and it makes people more likely to follow you. But there’s one drawback: When people click on the link in the post you’ve shared – whoosh – they’re gone. Off to somebody else’s site. 12. Got a new lead magnet? Announce it on social media. I could just tell you, “Ask people to join your list from your social media posts.” But that’s not really enough. You’ve got to sweeten the pot. 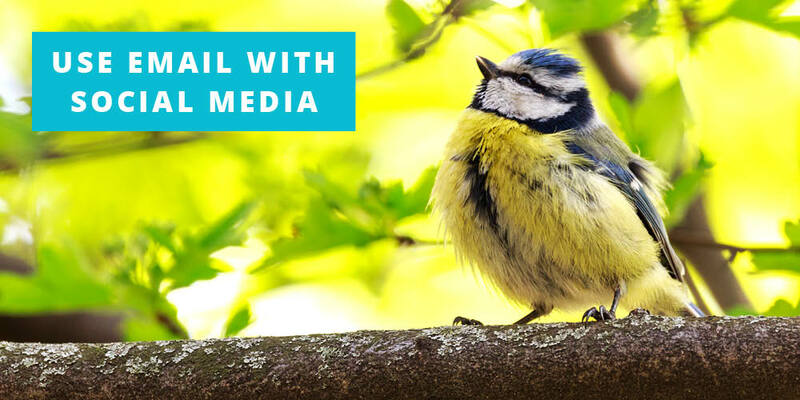 So anytime you’ve got a new lead magnet, make a big deal about it on social media. And – of course – include a link to sign up for your list. That’s plenty of ideas to get you started. But I bet you can think of more. Want to share your cool idea? Speak up and leave a comment!